Oh, do we love guitars! At Bird & Bee, we buy and sell previously enjoyed guitars and have a deep affection for vintage instruments. We also work with all kinds of players of all different styles to help them get the most out of their guitars. We provide regular service (basic and advanced guitar set-ups) and work to make damaged instruments come to life through careful repair and restoration. We also provide appraisals of vintage instruments, offer consignment services, and can help you find a specific guitar through our procurement program. We are a proud member of the American Guild of Luthiers and have credentials from the Canadian School of Lutherie. Want to find our more? We’d love to hear from you! 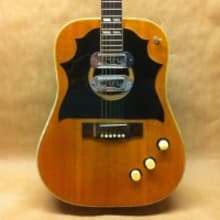 Visit our website a birdandbeeguitars.com and be sure to like us on Facebook!